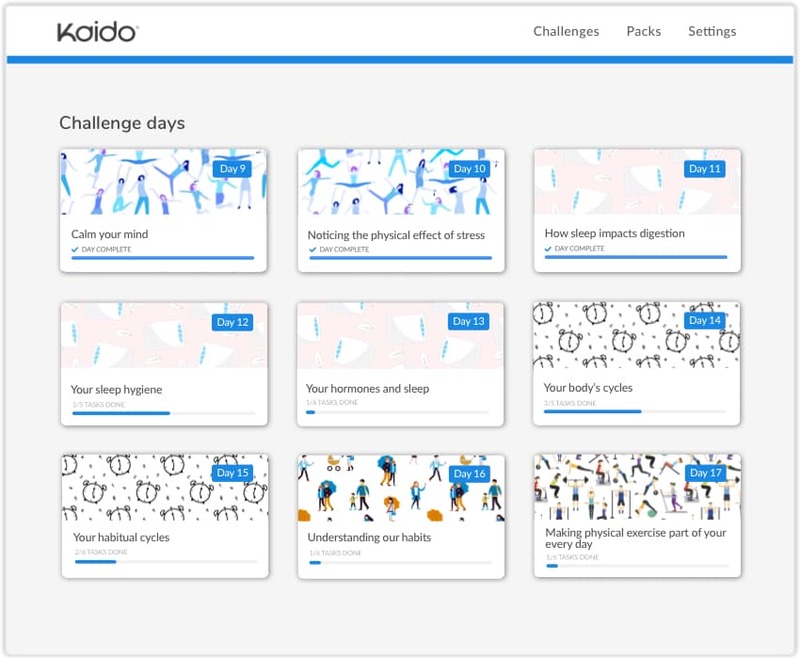 Kaido mixes 365 days of content with six week team challenges to provide a varied and interesting experience for your employees. It's available on iOS, Android and the web and is easy to manage. Our Wellness Packs provide employees with digestible health information and tasks to support them in achieving their own health and wellbeing goals. Employees can select packs that target known health issues such as back issues or a busy mind, as well as exploring whole new ideas such as meditation and yoga. They are available all year giving your employees the support they need, when they need it most. 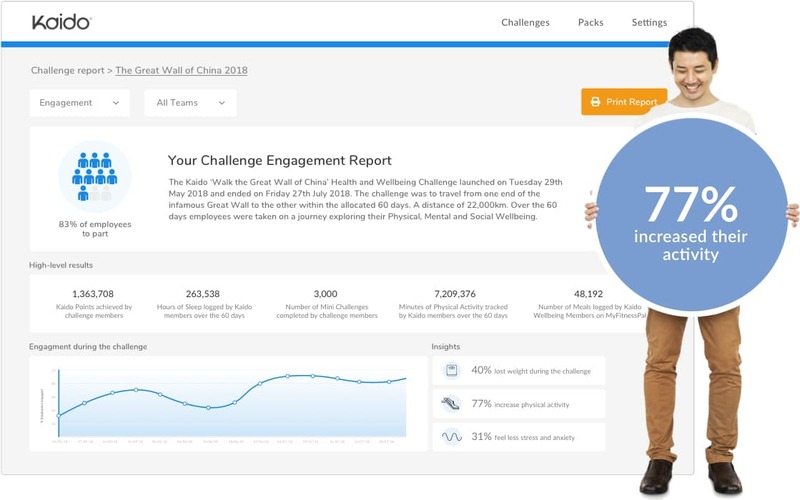 Drive engagement through our fun and inclusive team challenges, which reward employees for improvements they make in their physical activity, mental health, nutrition and sleep. 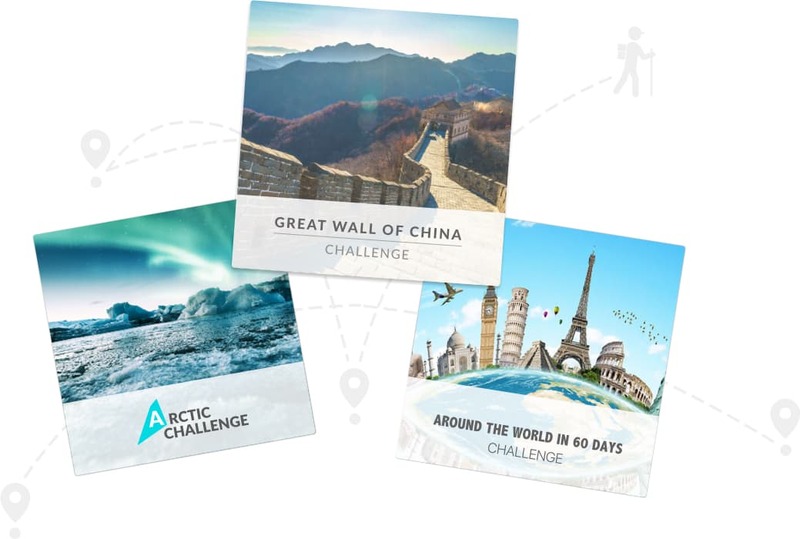 Each challenge has a different fun, educational and engaging theme. Employees earn Kaido points by completing daily challenges to reach milestones and unlock entry into prize draws. 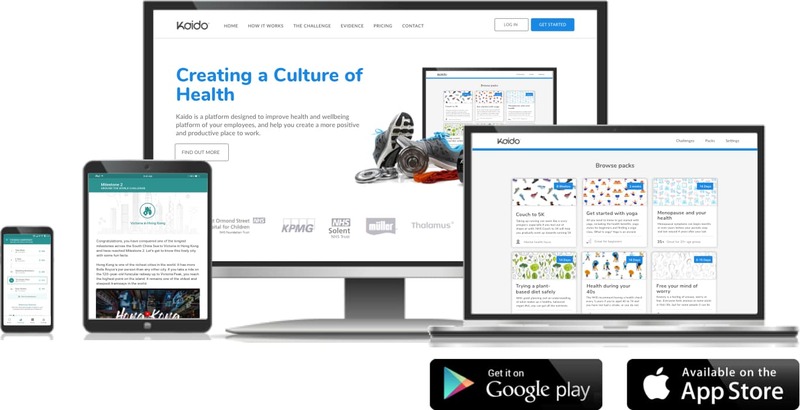 Your employees can access their Kaido health content and challenges at any time using our iOS and Android apps, or through our mobile-responsive website. Kaido is a holistic and preventative solution that is easy for you to set-up and manage. Whether you're a 9-5 office, a factory of shift workers, or a remote team, it will work for you.